On 14-17 May 2006, a first-summer nominate Solitary Sandpiper Tringa solitaria solitaria stayed near Wissenkerke, Zeeland, the Netherlands. It was identified as the nominate subspecies mainly based on the prominent loral stripe. This is the first record for the Netherlands. In Europe, there are at least 38 records of which only very few were in spring or in the mainland. In the spring of 1967, the first Iberian Chiffchaff Phylloscopus ibericus for the Netherlands stayed at Baarn, Utrecht. Back then, it was regarded as a subspecies (\'brehmii\') of Common Chiffchaff P collybita. By 2006, 18 records have been accepted for the Netherlands. In this paper, information is given about their occurrence, identification, vocalizations, behaviour and habitat. None of the records has been published before, other than in the annual rarities reports of the Dutch rarities committee (CDNA). Most birds were found between 27 April and 10 May in forests and parks. Many were present for more than a month. All were first identified by their distinctive song. Characteristic was a rather short song phrase, made up of short rising and falling notes followed by a simple rattle. Other song phrases were noted as well, especially longer series lacking the typical rattle. Then, the difference with Common Chiffchaff can be less obvious. Apart from sound-recordings of these song phrases the pre-1994 records are documented with little else. Few photographs are available and descriptions of plumage and structure are most often lacking. The record of 1986 is not even documented with a sound-recording, but only with a description of the song. Many of the recent records, however, are accompanied by photographs, video footage and sound-recordings. Reason for this is undoubtedly the increase of interest among birdwatchers now that this taxon is regarded as a full species. Three birds in 2001 and 2004 have been heard calling, a downward inflected siu. This call is very different from calls of Common Chiffchaff and forms a useful identification tool. 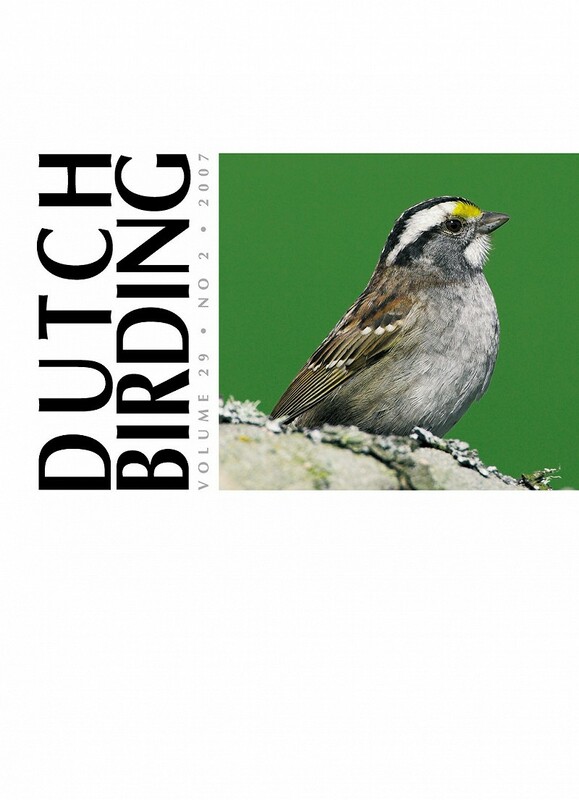 Compared to sound-recordings made in the Spanish Pyrenees in June 1999, the vocalizations of the Dutch birds are very similar. Chiffchaffs performing odd song phrases have been recorded occasionally. Probably, these are mostly first-year birds which have yet to crystallise their song. They can be hard to identify. Also mixed singers, as known from a small contact zone in the Pyrenees, might be hard to identify. Ideally, the documentation of an out-of-range Iberian Chiffchaff should therefore include sound-recordings of the variety of song phrases and the distinctive call. Subtle differences in plumage and structure can also be noted. These include a relatively long tail, wing and bill, as well as bright plumage coloration and well-marked supercilium. In the hand, biometric differences can be found in the wing formula (but none of the Dutch birds has been trapped).